Our ideas, designs, and photography are copyright protected. Please do not use the visual content without our prior permission. Our Boutique specializes in handmade natural knitwear for ladies in petite sizes: XS-S-M, one-size-fits-all accessories, and home decor. We design our own fashion as well as distribute knitwear hand-made from natural yarns by other knitting, crocheting and weaving enthusiasts. The clothes we wear should be comfortable, relaxing, and easy enough to care for.. We always keep this in mind and focus on responsible yarn selection and design. 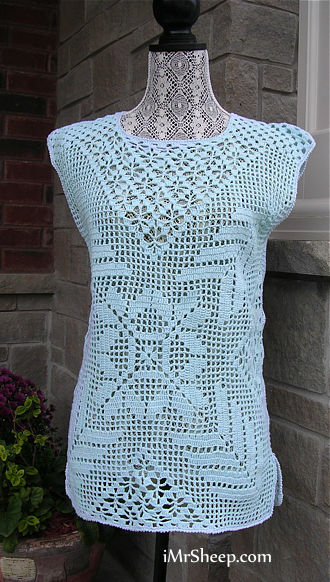 Our hand-name garments are knitted-crocheted-weaved from mainly Natural designer fashion yarns, including undyed varieties made of alpaca, llama, mohair, cashmere, organic wool, organic cotton, natural and cellulosic silk, German angora, baby camel, and other natural fibers and natural fiber blends. 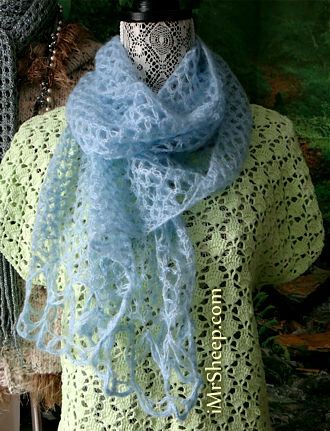 For finishing and accessories, textured and fantasy yarns designed from manufactured fibers can be added. Shipping within North America via Canada Post Xpresspost or Expedited Parcel. Purchases over $350 are free of shipping charges. If you will not be satisfied with the quality of your chosen garment, please return it within 30 days of receipt. 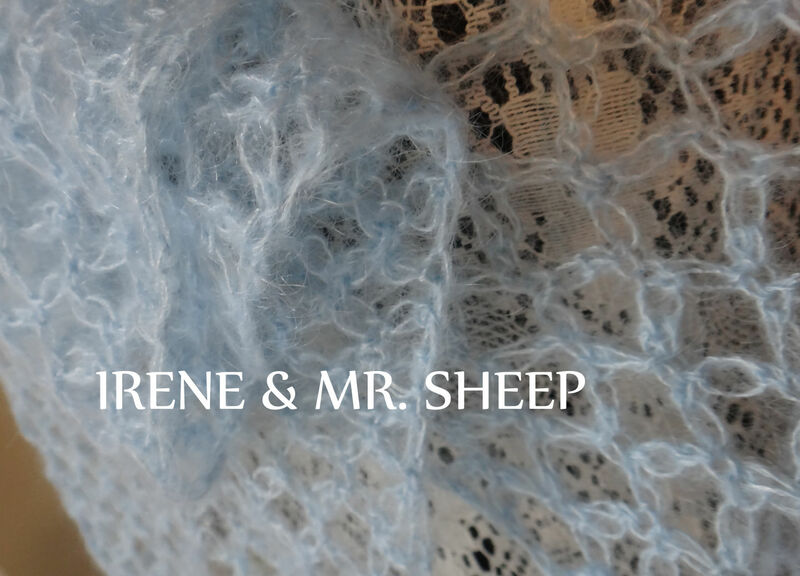 © IRENE & MR. SHEEP® Co.
Fibre Content: 75% Babykid Mohair, 25% Mulbbery Silk. Garment care: Dry clean or hand wash in cold water with woolwash no rinse. Do do wring out, just gently press to remove excess water. Dry flat in shade, pulling the garment into correct shape, away from heat or direct sunlight. Do not tumble dry. No iron. 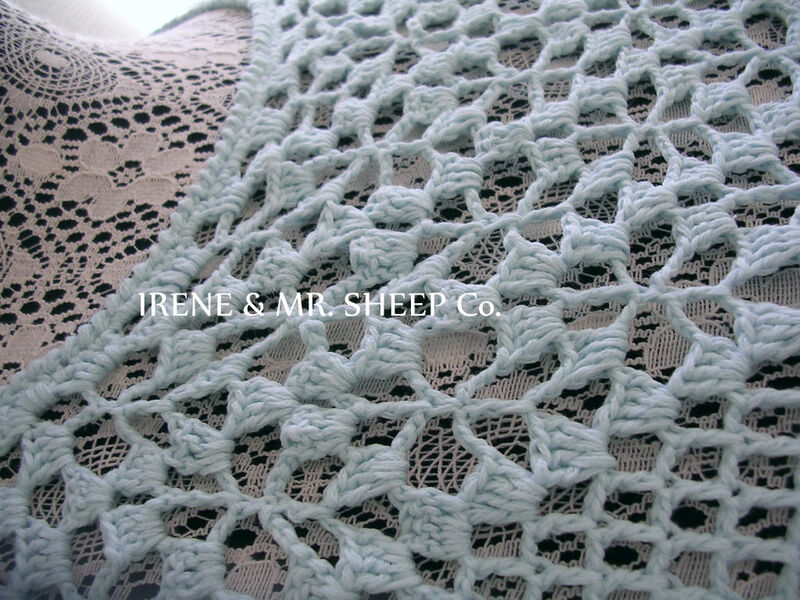 Design and photography © Irene & Mr. Sheep Co. This garment has no seams since its two pieces are precisely attached to each other - no seams are visible in continuous stitch pattern. Garment care: Dry clean, or hand wash in lukewarm water with woolwash no rinse. Dry flat in shade, pulling the garment into correct shape. Do not tumble dry. If necessary, iron warm through a slightly damp cloth - do not press! All rights reserved. Website comments to webmaster. Images, photography, and content are copyright protected. Please do not use the visual content without our prior permission.